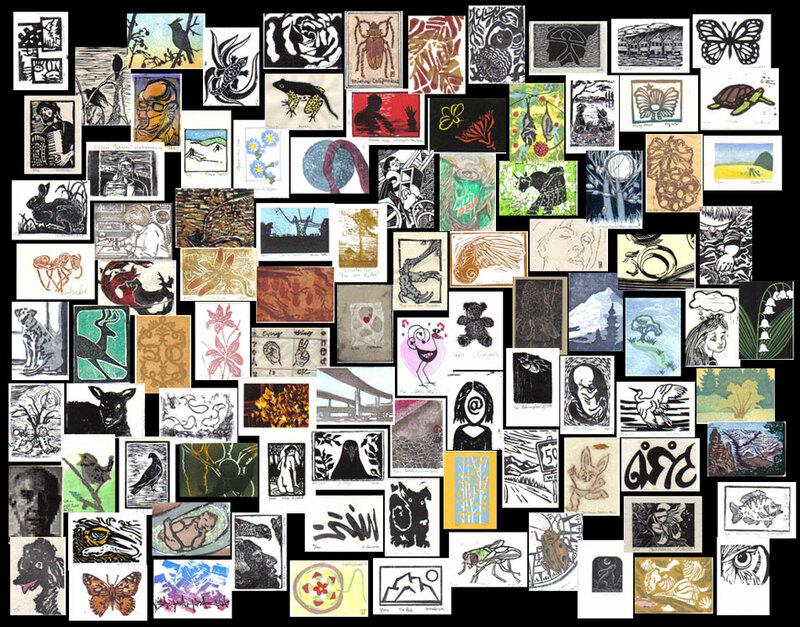 Woodblock print (hand rubbed or pulled on a press, B&W or colour, any pigments, any paper). Theme: OPEN --Celebrate the 50th Baren Exchange with whatever image suits you. I changed the look of the Introduction page for the Gallery of each exchange, eliminating the frame. The link to the Gallery Page for viewing the prints in the exchange will open in a new window, just click the tiny thumbnails image or the gallery link below. The new gallery format allows viewers to see large thumbnails and an enlargement in the same page; just click the thumbnail on the strip and get an enlarged view, complete with name and title. Alternatively, you can click the “show next slide” button below the enlargement image. If you are in a lazy mood, the slide show can be started (and stopped) anytime by clicking the play/pause slide show button just below the enlargement image, center button. There is also a View Menu top left above the thumbnails which allows the viewer to switch from Gallery View to Slide Show.